If you are into makeup and beauty thing, then Bella Voste is definitely not a new brand for you.. These days this brand is on everyone's talk. They have amazing range of products, one should definitely check out their site.. 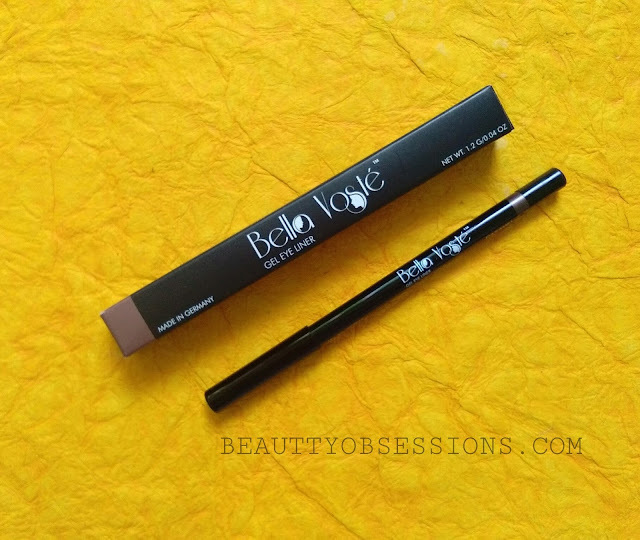 I had received this gel eyeliner on my November Happy Hamper subscription box. This is my very first product from brand Bella Voste. Their lipstick range is also awesome.. I am yet to get my hands on those. 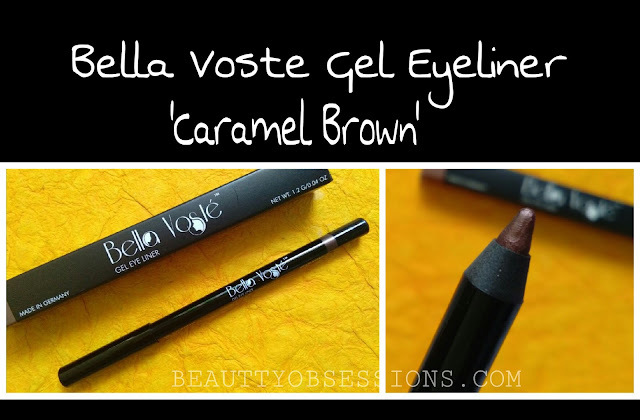 So today I am going tell you about the gel eyeliner by Bella Voste in shade Caramel Brown. Price - Rs 399/- for 1.2gm. Shelf life - 30 months from mfg. 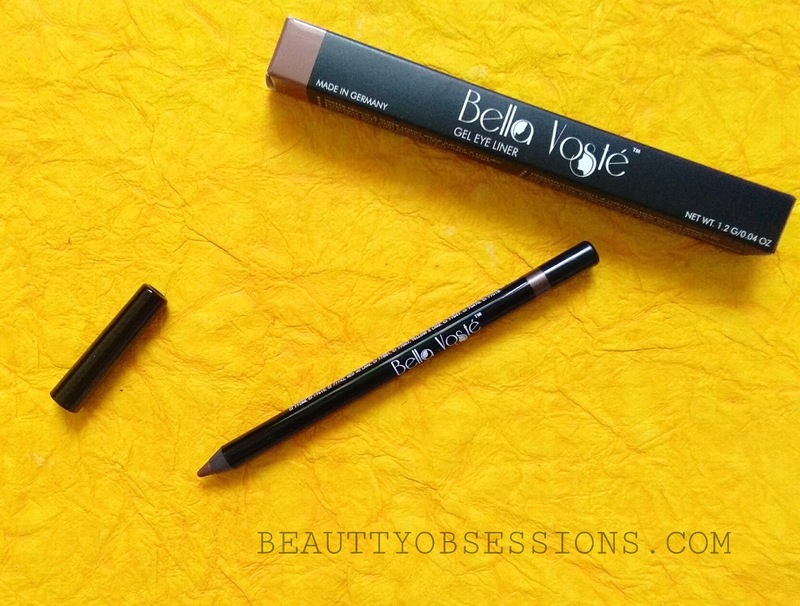 The Bella Voste gel eyeliner comes in a pencil form packaging with a cap. I wish if it would come in a retractable pencil form.. There is no sharpener along with the pencil which is a drawback I can say. The pencil again comes inside a cardboard box. All information regarding the product is written on the pencil and cardboard box both. 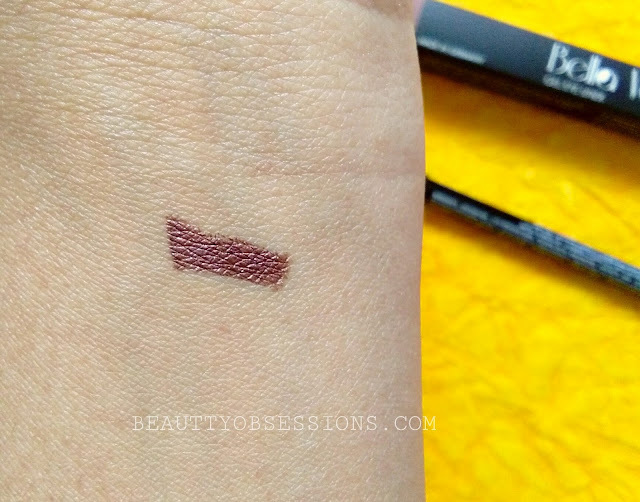 As the shade name says, it is a brown shade eyeliner . There are four shades (not very sure) exit in this range. The texture of the eyeliner is very creamy and smooth which glides effortlessly on eyelids. Again the down point is, because of the soft texture,you have to be very light handed while gliding on lids else it will breakdown easily. I have already broken two times.. The shade is really pigmented in one stroke only.. I love the gel kind finish of it. There are very fine shimmers in it, hence it's not completely matte. It is not smudge easily, I mean to say, if you will rub hard, then it might come out. Otherwise it stays for good 6-7 hours on me. It is not completely waterproof. It is free of paraffin, preservative, animal derived ingredients which is really appreciable. I love this shade and it's quality is just superb . I would love to try out the other shades as well. 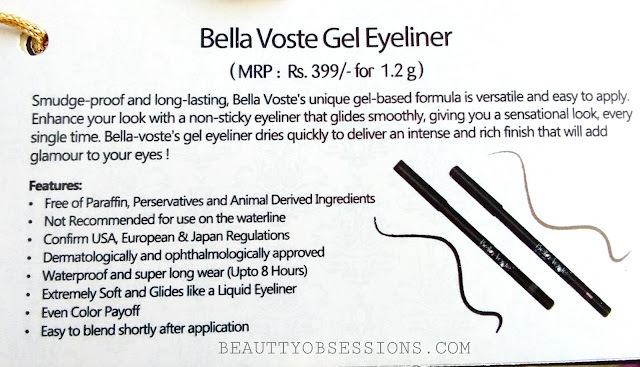 Have you tried any Bella Voste products? Share your experience in comments below.. I have never tried any other shade except black, but this shade looks really amazing. I surely want to try this out. 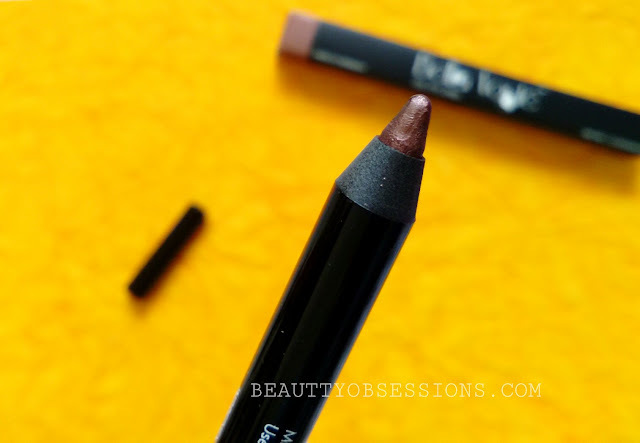 I too have this pencil in the same shade and I really like it for some fancy eye makeup in no time. I love the shade. Liked your honest review. Despite the cons I would like to try it out. 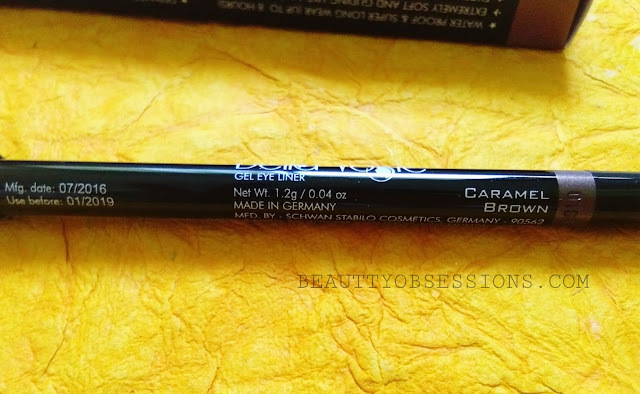 Seems the eye pencil is pretty good! It is a gorgeous color with great pigmentation. Well written review.